Window Cleaning is our specialty! We love clean glass and so will you! We will leave your windows streak and spot-free. Call us today to RENEW your VIEW! Why choose Gibson's Cleaning Solutions to clean my windows? What does a professional window cleaning entail? Who will be cleaning my windows? Is Gibson's Cleaning Solutions insured? 1. Why should I have my windows cleaned? As a responsible homeowner you know that routine maintenance is critical to maintaining your property. Windows are an important part of property maintenance. Regular cleaning will not only keep your windows looking good and operating properly, but will also extend the lifespan of your windows and contribute to the value of your property. Professional window cleaning removes dirt, grime, pollen accumulation, fingerprints, bugs, and bird droppings. Having your windows professionally cleaned on a routine basis also helps to prevent hard water deposits and accumulation of soil, dust and other foreign materials, which can cause permanent staining to the glass. 2. 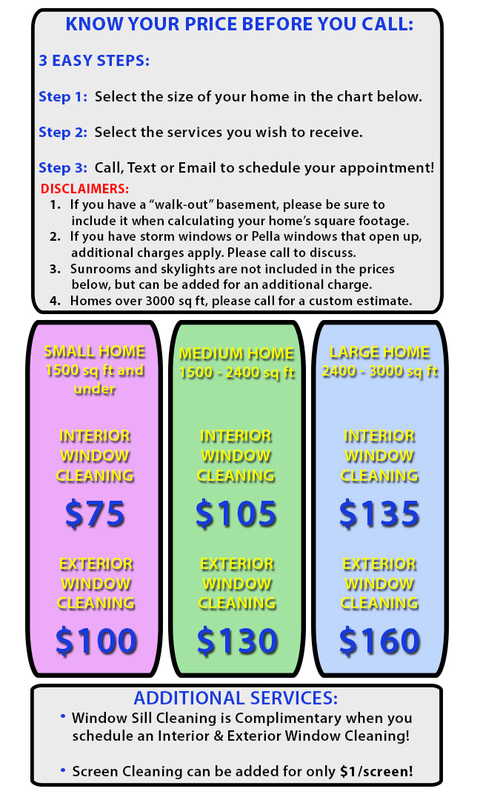 Why should I choose Gibson's Cleaning Solutions to clean my windows? 3. What does a professional window cleaning entail? To us, “clean windows” means more than just the glass. That’s why we offer screen and sill cleaning too. If you elect a full service window cleaning, we will remove your screens and thoroughly clean each one with soap and water. Next, we will clean the glass pane of each window inside and out, leaving it completely spot and streak-free. We will also brush and wipe all window sills. Lastly, the screens are reinstalled in the windows. 4. How often should I have my windows cleaned? For a residential property, a complete Exterior & Interior Window Cleaning with Screen & Sill Cleaning should be performed a minimum of once per year. Many of our customers opt for 2-3 times a year, which keeps their windows looking great year round. Other customers opt for a Complete Exterior & Interior Cleaning in the spring, followed by an Exterior only cleaning later in the year. Feel free to call (563-639-9065) or email (tyler@gibsonscleaningsolutions.com) to discuss your options. Commercial properties require much more frequent cleaning due to the high traffic. A Complete Exterior & Interior Cleaning should be performed at least twice a year. However, many of our customers are on a monthly or quarterly cleaning schedule. We are happy to customize a cleaning schedule that meets both the needs of your business and your budget. 5. Who will be cleaning my windows? RESIDENTIAL: We feel its best when pricing is simple and hassle-free. So we came up with a pricing structure that is just that- simple and straight-forward! Our prices are based on square footage of your home. Look in the chart below to see if your home falls in our Small, Medium or Large range. Then select the level of service you want to receive. 7. Is Gibson’s Cleaning Solutions insured? 8. Do I need to be home? This is entirely up to you! 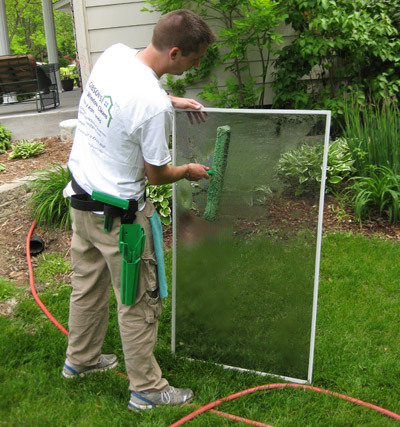 It is not necessary that you be home while we clean your windows, however, we usually need access to the interior of the home, even if we are just cleaning the exterior of the windows, as there are often screens to be removed, which can only be done from inside. We have developed great relationships with many of our customers who feel completely comfortable leaving a key or garage code to let us in. 9. How soon can I get an appointment? RESIDENTIAL: We generally schedule appointments about two weeks out. However, during the months of April, May, October and November, we can get very busy and at times it is three or four weeks before we have an opening. If you have a special event, please contact us right away and we will do our very best to accommodate you. Remember, appointments can be reserved up to one-year in advance. COMMERCIAL: Most commercial customers are on an automatic cleaning schedule. However, if you require additional service outside of your scheduled cleaning, please contact us right away.